I just recently had my third baby boy, Noah Cooper Shreckhise, born on September ninth of this year. I also had sent the director of Camp Greenbrier, Will Harvie, a text shortly after Noah was born letting him know that I had another Greenbrier boy for him. His reply was, “Now you have your own boys’ camp year round!” And that’s pretty much what the chaos feels like right now, but I wouldn’t have it any other way. A lot of people have asked if I was trying for a girl, or if I will try to have another, to have a girl. I was super neutral and would have been completely happy either way – I just wanted a healthy baby. I honestly don’t feel the desire to have a girl, any more than a boy — I have 500 girls all summer long, after all! I think it’s just fitting that I have all boys at home, which gives me the best of both worlds year-round. And anyway, boys are what I have so I love being a boy mom and wouldn’t trade it for anything! But why am I telling you all this? 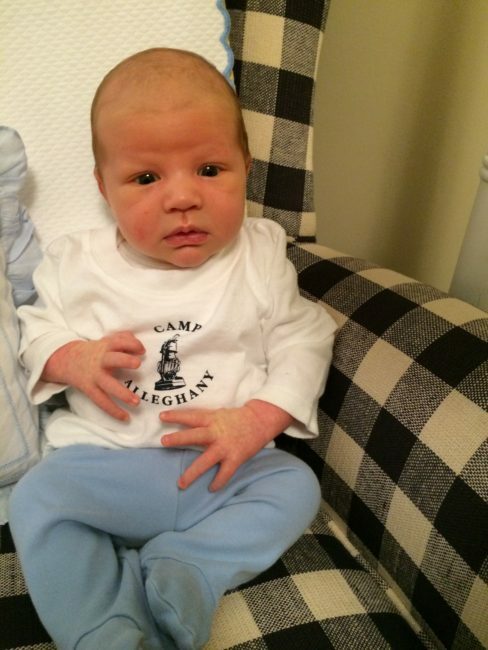 Why write about my baby, what does that have to do with camp? 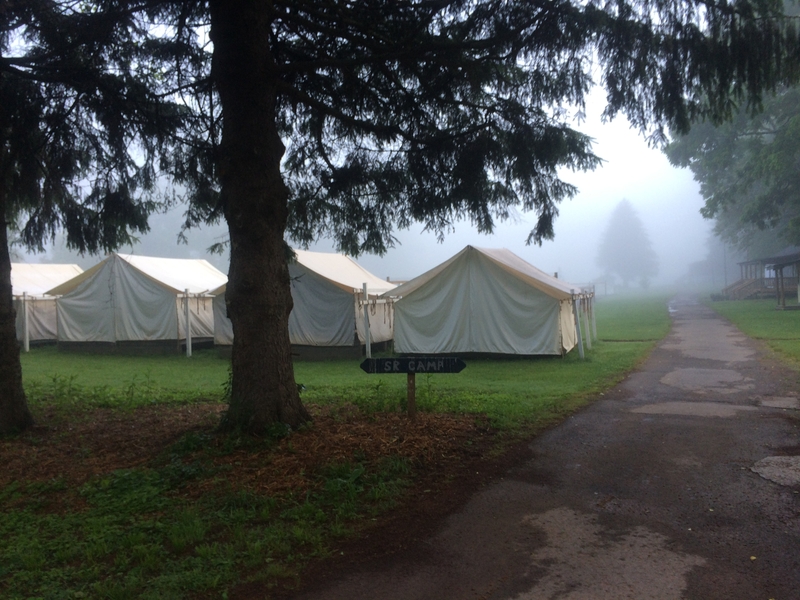 Well, first off, we are a family-based business and our family (the Dawsons and now also the Dawson-Shreckhises) bring our families to camp, keep our families at the heart of the business. And so sometimes we just like to share our news with you, the camp community. But another reason comes to mind, too. A lot of my preparation for Noah’s birth happened AT camp this summer where I was 7, 8, and 9 months pregnant, so it feels a lot like a part of Summer 2016! Since my second son, Ellis, came so fast and furiously, I didn’t have time for an epidural, but I wasn’t prepared for that, and it took me by surprise! It wasn’t a positive experience to be honest in that it was so unexpected (the precipitous nature of the birth) and not like what I had experienced with my first son, Mason. I tend to prefer planning over the “unknown,” so it threw me for a loop. This time I figured I would prepare, in case the same thing happened. I knew I needed to spend time reading, but I seriously don’t have time to read, especially in the spring and summer when I’m deep in preparation for camp’s day-to-day summer details, or working to hire staff, meeting with my team, etc.! But even as I got excited to listen to this book, I wondered when would I have the time in the hub-bub of summer camp to listen to it? Well, I really enjoy getting up in the mornings at camp before Reveille and going on a walk. This is something we allow counselors to do, as long as there is no talking or disturbing anyone who is still sleeping. Some counselors even go on a hike in the mornings! (don’t worry, we have a system in place called Patrol and there are counselors always on duty on tent row; when you’re on Patrol, you can’t leave tent row before Reveille. And all counselors must be back on tent row by Reveille). So anyway, I thought I could join in on the early bird exercising, and kill many birds with one stone: listen to my book, get the walking and exercise in that I wanted as part of my birth preparation, and some much-needed quiet and alone time each day, to start the day off right. Not to mention how peaceful camp is at that hour, and how beautiful! Fortunately for me, my sons Mason and Ellis (with whom I share a bedroom at camp) slept in pretty late every morning, and my FitBit’s snazzy feature of a silent alarm (vibration on my wrist) allowed me to wake up without waking them up. So I had that going for me as well (and when I left to do this morning walk, I gave a baby monitor to one of my parents to watch over the kiddos while I was gone — however 99% of the time the boys slept the entire time!). I began most of my mornings like this. I say most because I didn’t do it every day, especially as I progressed in my pregnancy. But I started the summer doing at least five mornings a week, and at the end it was 3-4 mornings a week. I was able to get through almost the entire book while at camp, and finished it by listening to it in my car or on a walk once I was home. 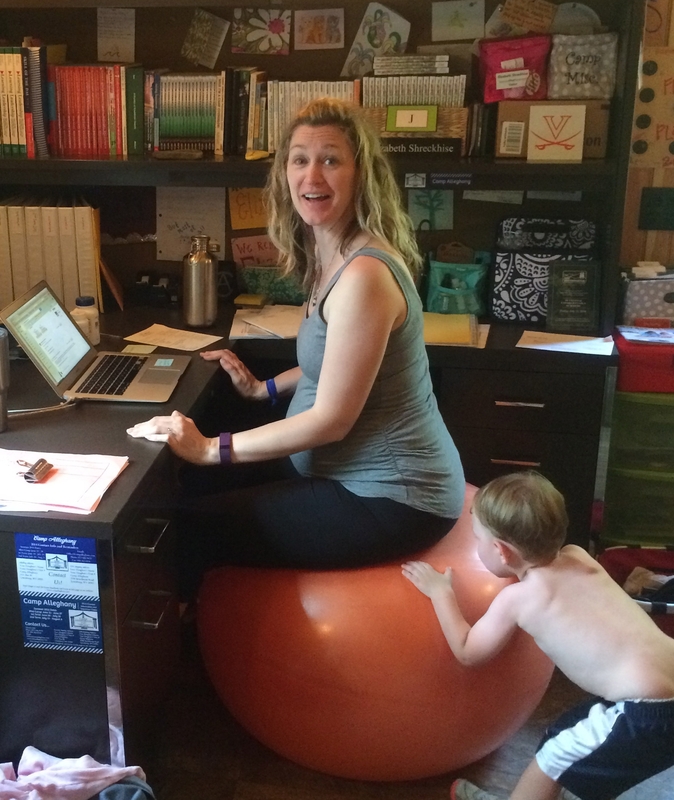 Something else I did at camp was that I used an exercise ball for my desk chair for the entire summer. This helps get certain muscles ready and strong for childbirth. This was my second summer pregnancy, and second September baby. Many people worried for me that it must be awful to be pregnant in the summer. But I always disagreed. I enjoyed those two pregnancies much more than my winter pregnancy (which resulted in a spring baby — terrible timing for a camp director and tree nursery manager!). Being able to be active and outside throughout much of the pregnancy was important to me, and kept both my spirits and my activity level high since it was amidst the joys and beauties of camp! Fall is also a great time for a camp director to have a baby, as things are (slightly) slower, and the baby is older when we go to camp the next year. So I was thrilled with my September due date. Like our other children’ names, Noah was given family names. 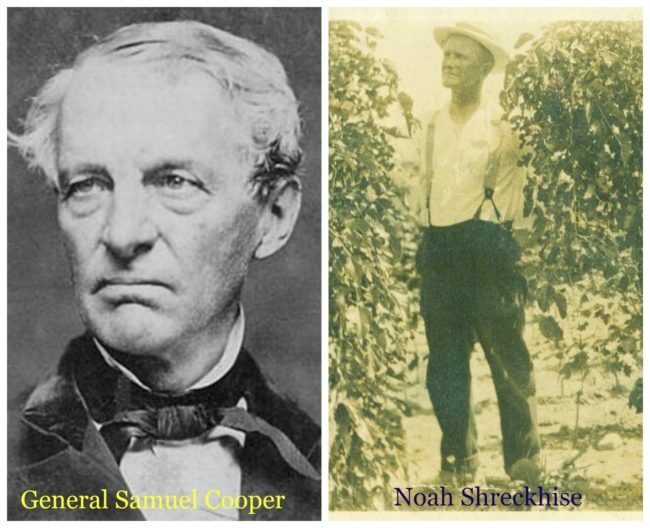 The name Noah comes from Matt’s ancestor Noah Shreckhise (pictured), who began the family nursery business back in the late 1800s. It’s a name Matt and his family have always liked, so we felt it was time to use it. And just by coincidence, we did think about the fact that it’s a bit appropriate that I was pregnant with Noah during the West Virginia flooding this summer (cue Noah’s Ark jokes). As for Noah, he’s been an incredibly mellow baby, sleeping much of the day, not very fussy at all. It’s been a wonderful transition to a family of five. I said a million times that we were done having kids after this one, but Noah has made it so enjoyable that I can’t help but think about having more! Of course my husband Matt says no way ;).